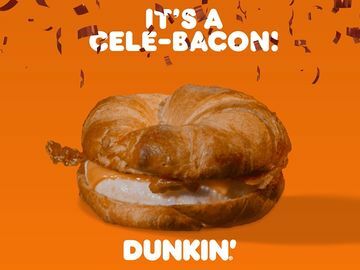 #PumpkinAtDunkin is Back! IncluDDes NEW Pumpkin Crème Brulee Flavor! It’s that time of year again. The summer season is starting to wind down and fall can be seen coming around the corner. While some people may be hesitant to accept this change, we fully embrace it since it only means one thing: Pumpkin season is here!! That’s right, folks – starting September 1, Pumpkin at Dunkin’ is back and we have a DDelicious new flavor to add to our DD pumpkin patch: Pumpkin Crème Brulee Coffee and Lattes! 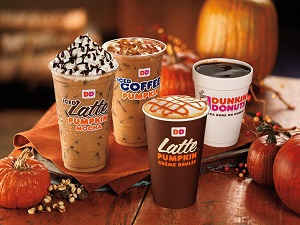 Available hot or iced, this new beverage includes pumpkin and creamy vanilla flavors blended togethe, making one of the best tastes of autumn present right in your DD cup. Since today marks the official countDDown to #PumpkinAtDunkin, we’re hosting a national Twitter sweepstakes where we will be asking YOU to tell us what DD pumpkin menu item you’re most pumpeDD to try this fall, using the hashtag #PumpkinAtDunkinSweeps. This sweepstakes starts today and lasts until Wednesday, August 27. 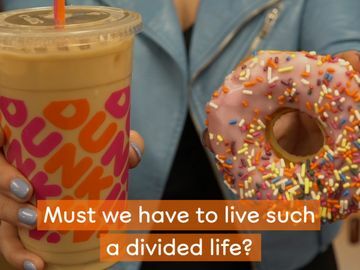 All who participate will be entered for a chance to win one of seven $50 Dunkin’ Donuts mGifts. For official rules and information, please visit http://dun.kn/1saDEbj. 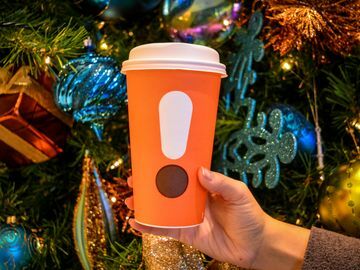 • Pumpkin Coffee and Lattes: We celebrate the season by adding the taste of pumpkin to our world-famous coffee and lattes. This year, we’re offering two varieties - Pumpkin or Pumpkin Mocha - served either hot or iced. Your choice! • Pumpkin Pie Donut: This returning treat features a pumpkin pie flavored buttercreme filled yeast shell, frosted with white dipping icing and sprinkled with graham cracker topping. 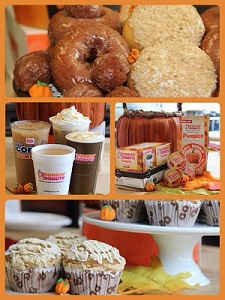 • Pumpkin Donut and MUNCHKINS® Donut Hole Treats: Guests can savor the season with the glazed pumpkin cake donut, which can also be enjoyed as MUNCHKINS donut hole treats. • Pumpkin Muffin: Our Pumpkin Muffin is a deliciously-spiced autumn delight topped with white icing and sweet streusel crumbs. • Pumpkin K-Cup® packs: Available at participating Dunkin’ Donuts restaurants nationwide for $9.99, this variety of the brand’s popular K-Cup® packs, for use with the Keurig® K-Cup Brewing Systems, allows people to enjoy the taste and aroma of pumpkin, nutmeg and cinnamon found in Dunkin’ Donuts Pumpkin Flavored Coffee in individually-sized portions at home. • Pumpkin Packaged Coffee: Available in a special 8 oz. 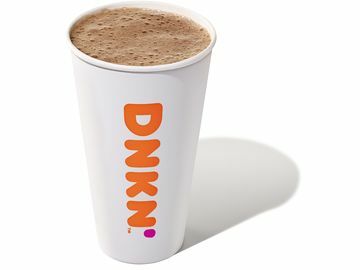 size at participating Dunkin’ Donuts restaurants and online at shop.dunkindonuts.com, pumpkin fans can also brew Dunkin’ Donuts’ Pumpkin Coffee at home this season. SpotteDD a DD pumpkin food or beverage item? 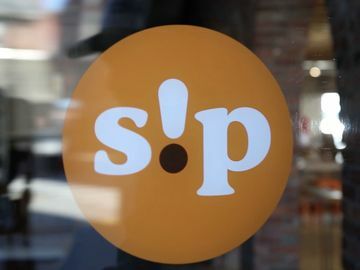 Snap us a pic on Snapchat or share it with us on Facebook, Twitter or Instagram!